Deep within the African jungle, a mother gorilla names an orphaned baby boy "Tarzan" and adopts him as her own, even though the silverback leader Kerchak shuns the "hairless wonder." Growing up alongside his wisecracking ape buddy Terk and neurotic elephant pal Tantor, Tarzan develops all the instincts and prowess of a jungle animal, "surfing" and swinging through the trees at lightning speed. But with the sudden appearance of Tarzan's own kind - humans - including the beautiful Jane, the only world Tarzan has ever known and the one in which he belongs collide with extraordinary force! Driven by five powerful songs written and performed by pop superstar Phil Collins, and starring the voice talents of Minnie Driver, Glenn Close and the hilarious Rosie O'Donnell, Disney's Tarzan delivers incredible adventure as well as important reminders about acceptance and family! What an incredible film this is. I've loved this since I saw it for the first time as a child. The music is perfectly suited to a timeless classic. If you haven't seen this, I implore you to buy this now. Very happy with the delivery and the product. Thanks once again Zavvi. Tarzan is a great purchase. It's a great film with an even better soundtrack, and the Blu-ray quality gives it a little something special. I recommend it to all. 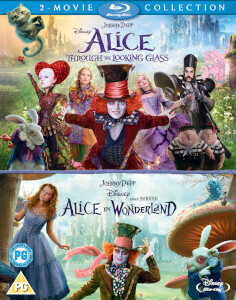 Excellent family movie great for adults and children alike. It is filled with adventure, lovable characters, and of course Disney's sense of humour. 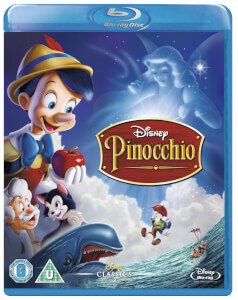 A must for every dvd/blueray collection, especially if you have children. Mind you the big Child will love it too. I absolutely loved Disney's Tarzan and have been waiting for ages for it on Blu-ray. Unfortunately, there's no special packaging or special edition, hence only 4 stars. It's an awesome movie that should be in anyone's collection. 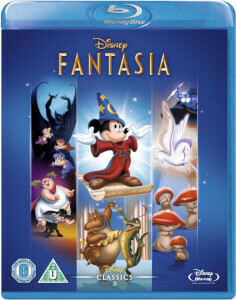 One of the many greats of the Disney company, enhanced brilliantly in stunning hi def! Glen Keane, a Disney legend (beauty and the beast, pocahantas, tangled, and other fantastic movies), was at his best during this golden era, his movie making flair will be truly missed and never forgotten. This movie is full of suspense, emotion and should be watched by ever future generation! 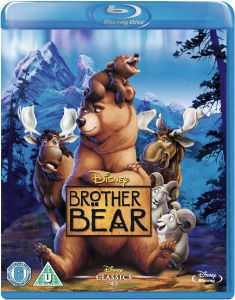 As with all Disney films this is good but sadly not one of their best. Definitely worth a watch though, great one for the kids or big kids. Do NOT replace your dvd! It's hard to believe, but this Blu-ray release of Disney's Tarzan is actually worse than the DVD-release of the same title. Yes, the movie looks a lot better on this disc, but this Blu-ray contains a Dolby Digital track that is equal to the old DVD version. What's worse is that this release only comes with a very disappointing amount of extra features. Where is the wealth of bonus features that was present on the 2-disc DVD version of Tarzan? If you've already purchased Tarzan on DVD, hold on to that version. Tarzan is another great family film from Disney. As a collector of Disney movies I had to buy it, and I'm glad that I did. First off, Tarzan was originally animated in the 1.66:1 aspect ratio and then cropped to 1.85:1 for cinema release. It was previously released on DVD in the 1.66:1 aspect ratio which was perfectly acceptable. The Blu-ray however slightly crops the image to 1.78:1- this is so that it fits perfectly on a 16:9 screen and you see no black bars at all. Personally I would rather have seen the slither of black bars if it meant seeing the whole picture. In fact for me the ideal would have been to have both the 1.66:1 animation ratio and the 1.85:1 theatrical ratio. All of this said, the HD image on Blu-ray is likely the best Tarzan has looked so far- I just wish it wasn't cropped. As for the sound, in a rarity for Blu-ray, it features a compressed Dolby Digital 5.1 mix. That said, this is one of Disney's most active surround mixes and makes great use of the subwoofer, and so this is likely the best Tarzan has sounded. All in all, the film itself is definitely the best it's looked (apart from the cropping) and sounded, yet in regards to everything else, this Blu-ray is a significant downgrade on the past Collector's Edition DVD.